American CPR Training™ OSHA and other safety training blog section is your most trusted resource for articles which provide information and references to get your the latest in safety training. Here you will find live training, videos, CD's, internet & web based training, supervisor / leader kits, and posters for a wide variety of training topics. Our training topic resources cover accident investigation, accident prevention, accidental release measures & spill cleanup procedures, ANSI MSDS, Asbestos Awareness, back safety, bloodborne pathogens, Chemical Hazards, Compressed Gas Cylinders, Compressed Gas Cylinders, Confined Space Entry, Confined Space Entry, CPR, Crane Safety, Decontamination Procedures, DOT General Awareness, DOT Safety Training, Driving Safety, Electrical Safety, Emergency Planning, Eye Safety, Fall Protection, and much more! A recent white paper on workplace safety from web-based management systems company Intelex concluded that smartphone technologies have the ability to improve occupational health and safety. The paper notes that strides towards zero injury goals have slowed with traditional methods and that, by adopting a mobile-driven approach to safety, businesses can “identify, reduce and prevent workplace hazards faster and at a greater scale.” This report come presents positive news for employers who may have previously viewed smartphones as, at best, a means of communication and, at worst, a distraction for employees. Here are five ways smartphones can improve workplace safety. The smartphone camera is an essential tool in increasing workplace safety. Most phones come equipped with powerful cameras that have the ability to take detailed pictures and videos. Employers should encourage workers to use their phones to document potential hazards and unsafe workplace conditions. A photograph or video of a safety violation is much more effective than a written report that can be easily misinterpreted or downplayed. Likewise, employees should use the camera to capture best practices and methods to easily share with their coworkers or new hires. Finally, the slow motion video function, native on most smartphones, can be used to complete an ergonomic analysis of workers performing tasks. For employees who travel or who work remotely, the smartphone is already an indispensible tool for functions like communication and navigation, but it can also help improve their safety. Employers should provide a phone with a long battery life to aid an employee lost or in danger. For example, the Samsung Galaxy S6 features 20 hours of talk time and 12 days of standby time. Additionally, when an employee is working alone, the GPS locator app that is included with most smartphones, is an essential fail-safe. Locator chips allow employers to access the location of employees in the field every few minutes or as needed. Employees can use their smartphone to keep detailed notes of safety concerns, incidents and investigations. Most phones come with an app that will allow the user to take notes, integrate pictures and record voice memos. This kind of note-taking, combined with stronger phones that can be used even in the most hazardous locations, will result in a more thorough and permanent record of safety issues (no more lost papers or notes that are taken out of context or not dated). DID YOU KNOW? There is an abundance of OSHA training materials in book and CD form that can be used by employers and employees alike to make sure they are up to date on the safety standards and regulations that pertain to their industry and job. Also there are alot of other type of materials such as safety posters and games that can be used to make sure that employees and even employers know how and what safety regulations need to be followed. Safety posters can be generally informative of regulations that can pertain to their specific job and/or industry or can direct employees where to find safety items such as emergency showers and flushing stations. Keep up to date and informed! A company's infrastructure and quality control is only as good as the records they keep. Help managers and supervisors meet the updated recordkeeping requirements of the OSHA regulation 29 CFR Part 1904. These products provide the information needed by workers at all levels to help a facility comply with OSHA's revised regulation, and allow an organization to quickly identify and eliminate repetitive hazard situations. 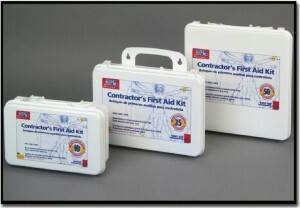 This product includes two videotape/DVD training programs, OSHA Record keeping for Managers and Supervisors and OSHA Recordkeeping for Employees, that cover the details of the regulation's requirements, show actual workplace incidents demonstrating what each level of employee's responsibilities are in documenting and reporting recordable accidents, and review the information that they need to provide. UPDATE TO OSHA RECORDKEEPING RULES - OSHA will now receive crucial reports of fatalities and severe work-related injuries and illnesses that will significantly enhance the agency’s ability to target our resources to save lives and prevent further injury and illness. This new data will enable the agency to identify the workplaces where workers are at the greatest risk and target our compliance assistance and enforcement resources accordingly. When there is an incident that necessitates a meeting of employees at multiple sites, the video conferencing feature (e.g. Google Hangouts or Skype) will expedite the process. Video conferencing also adds a visual component to meetings that can aid in mutual understanding of the issues at hand. There are hundreds of third party apps that will aid in workplace safety for everything from data collection to report generation to ongoing education in industry-specific practices. According to the Intelex white paper, encouraging employees to use these apps gives them real-time access to safety tools and promotes accountability and buy-in for overall workplace safety. Most employees, millennials in particular, are more engaged with safety practices when they are an active part of the process. Apps for data collection or completion of safety-related tasks make the process a fun and positive experience for employees. This entry was posted in OSHA and Other Safety Training on November 28, 2016 by American CPR Training Team. 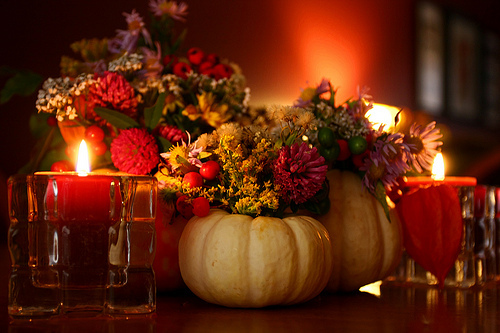 Happy Thanksgiving - Enjoy Life! This entry was posted in OSHA and Other Safety Training on November 24, 2016 by American CPR Training Team. Here are some tips which can enable you to engage your staff during regular safety meetings. Selecting a topic shouldn't be a last minute selection; it should assist you in successfully meeting your safety meeting goals and perhaps help you think of new safety meeting topics for future meetings. Consult managers to discuss details about their own experiences of close calls with harm. Learn what supervisors consider to be common challenges to the current approaches to safety. Are there any compliance problems which should be addressed? The better you accumulate "real life" input about your own workplace, the more interesting your safety meeting programs will be since you will have the ability to us actual examples from your own business to exemplify points. -- Lecture. This should be only a little part of your meeting time. -- Handouts. Giving written suggestions and exercises to conclude during or after the assembly helps strengthen the advice. Develop several icebreaker questions to help get each safety meeting off on the right foot. 4. When you have determined the location and a date for your meeting, use paycheck stuffers, posters, and other communications that are recognized procedures to support attendance and engagement. This should get OSHA safety meeting topics heard by workers and assist them to engage in the discussion. 5. Be professional and prepared. That means assessing other digital equipment or the VCR to ensure it's cued at the right place before the assembly starts! Conclude with a brief summary and your expectations. -- Consider your audience's skill level, age and educational level. Find opportunities to give verbal acknowledgement to workers for observations, appropriate solutions and behaviors. Never call out workers for unsafe behaviors, instead, when addressing problems, do it with an emphasis on issue resolution. -- Evaluate your meetings to ascertain what workers believe works and what does not. -- Maintain records of what was discussed and who attended. Workers should be held responsible for what they've each separately,. -- Although the meeting is being ultimately led by one person, allow groups of folks to work collectively during preparation and actions of each assembly. Need help coming up with great OSHA safety meeting topics? American CPR Training™ has many safety meeting topics to select from that'll meet your company's needs! This entry was posted in OSHA and Other Safety Training and tagged safety meeting topics on October 11, 2016 by American CPR Training Team. Fear, anger, frustration, humiliation, helplessness... these feelings shouldn't be part of anyone's job description. But they can be common in workplaces where bullying and other disruptive behavior is a problem. Your customers know that this type of behavior interferes with the functioning of a workplace, disturbs and threatens employees and can even affect their health... and that it can also damage a company's business and reputation. Employees and managers both need to understand bullying and disruptive behavior, and know what to do to prevent it or shut it down. Bullying and Other Disruptive Behavior training discusses how to recognize bullies and disruptive people, explains the impact their behavior can have and outlines the steps employees can take to help address these problems. Manager Training in Bullying focuses on tools and techniques that can be used to raise awareness of the problem in a department, investigate reports of disruptive behavior, and intervene as necessary. Ask us about new Bullying Training programs if you are interested! This entry was posted in OSHA and Other Safety Training and tagged bullying on July 28, 2016 by American CPR Training Team. We've talked about Home Electrical Safety, High Voltage & Effects of electric current in the human body. As a serious cause of death in-of-itself, and by causing sudden cardiac arrest, we want to assure our readers understand the dangers of working with electricity at home and at work. Anyone who works with electricity quickly develops a healthy respect for anything that could possibly be live. However, even the best of us can make mistakes when pushed for time. Because electricity is all around us, having some type of working knowledge of hazards, and emergencies attributed to electricity is important. Since electricity lights up our homes, powers much of the machinery and equipment that we use, and runs many of our tools, most employees take it for granted. Yet electricity can also be dangerous. 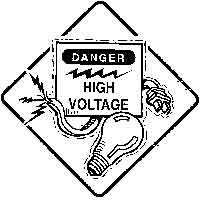 Employees need to know how electricity works, and what they should do to protect themselves from its hazards. Our training products on Electrical Safety remind employees about electrical hazards they may face in their jobs, and provides the information they need to work safely around electricity. This program will also assist in satisfying the OSHA training requirements under 29 CFR Part 1910.331 (Electrical Safety Standard) for non-qualified employees. Occupations that face a higher than normal risk for an electrical accident - blue collar supervisor, electrical and electronic engineers, electricians, industrial machine operators, material handling equipment operators mechanics and repairers. NOTE: The workers in these groups do not need to be trained if their work or the work of those under their supervision are not close enough to exposed electrical parts that operate at 50 Volts or more. 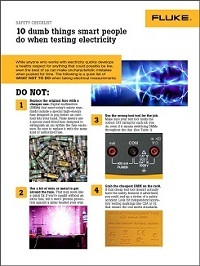 Download the white paper "10 dumb things smart people do when testing electricity" that provides you and your teams with a handy, helpful checklist of what not to do when taking electrical measurements. The paper also provides a comprehensive list of the latest PPE categories and requirements, as written into NFPA 70E 2015. This entry was posted in OSHA and Other Safety Training and tagged electrical safety on July 5, 2016 by American CPR Training Team. The health and safety of disabled employees at work is extremely important. An easily accessible and safe workplace for disabled people will ultimately prove to be a safer and easily accessible place for all employees, clients and visitors. The term ‘accessibility’ does not necessarily mean just access to the buildings. In a work environment, it also refers to the ease with which disabled workers can move independently and safely around the entire premises. If the existing design of the work site does not accommodate the special needs of disabled employees, adjustments must be made. These modifications will help disabled workers move around the premises safely and easily. It is necessary to adjust workstations and buildings by installing ramps, lifts, gripping bars, gradual steps, special lighting, warning strips, warning audio systems, automatically opening doors, doorbells and handles. It is necessary to install entry devices and switches at lower heights, reachable by wheelchair uses. It is also important to remove slippery flooring and tiles. It is possible to assign disabled workers to a specific work area that may be easier for them to access, like the ground floor. Color contrasts in paint, walls, doors, carpets and floors will help disabled employees move around the premises easily. Signboards in large, clear print or Braille directions will help partially sighted or visually impaired employees. Signboards must also have a matte finish to avoid reflection, for easier reading and comprehension. Providing pictures and graphics by door handles is a good option for those with learning disabilities. Modifying work equipment by installing Braille keyboards and hands-free phones is a good option to cater to the visually impaired. Providing a reader/interpreter during meetings and occasions will help the hearing impaired. All health and safety information must be provided in accessible formats to workers with visual or hearing impairments, dyslexia, learning disabilities or psychiatric disorders. To cater to the needs of disabled workers with musculoskeletal upper limb disorder, it is a good idea to install voice recognition software on the computers. To avoid renovating workplaces and incurring additional costs later, it is best to incorporate these adjustments at the design and planning stage itself. Adequate measures must be taken to ensure that disabled workers are not disadvantaged when it comes to health and safety training and instructions. Traditional modes of communication do not work when it comes to disabled employees. Communicating the information or providing the materials through different mediums like Braille, large print, text form and simple audio recordings will aid in better understanding. Providing individual training tailored to their needs and capabilities will help in ensuring they understand. Providing Occupational Health and Safety Training specific to employee needs on campus is important since different people have different disabilities. Providing specially trained managers and staff to evacuate disabled workers in case of an emergency by using special evacuation equipment will help support disabled employees. Employers must ensure that the health and safety of disabled workers are main priorities and that designated staff provide support whenever necessary. Disability organizations also help companies devise innovative ways to communicate information to disabled employees. All workplaces need to know how to support disabled workers in case of an emergency. Proper evacuation procedures must be in place for evacuating the disabled workers fast, if required. Companies must purchase special evacuation equipment and provide proper and accessible storage areas for them. Trained members of the staff assigned to help and alert disabled workers in case of evacuation must know basic sign language. Escape routes must be clearly established and made known to all the employees. Vibrating, visual devices and lighted fire strobes are supplemental systems to the traditional, audible alarms that help alert disabled employees. Installing alarms in all possible areas including restrooms is important. Individually training all disabled workers in the health and safety norms of the workplace, evacuation procedures and escape routes is important so that they will not be entirely helpless in case of an emergency. Disabled employees must also submit details regarding their medication and medical equipment, allergies, names and phone numbers of family members and doctors. The work site must have basic medical supplies and first aid kits, gloves, and more - learn your specific needs. Employers can consult local fire stations, police and rescue departments to find out what disabled workers need to do in case of an emergency; if they need to remain where they are and wait to be rescued or evacuated immediately. Consulting the disabled employees themselves about their former experiences reveals valuable input that employers may not know otherwise. Procedures adopted without consulting the disabled workers may miss important information. Measures designed to protect employees from harm must not be used in a discriminatory way against the disabled workers by treating them less favorably than the rest. For example, employers must not claim that wheelchair users cannot escape from a building in an emergency or that a hearing-impaired worker cannot hear and respond to a fire alarm. Employers need to do a risk assessment of the workplace and determine what measures can be taken to accommodate the disabled workers. Risk assessment involves examining the workplace for what could cause harm to the disabled employees, to judge whether existing precautions are sufficient or not. The objective is to identify potential hazards and evaluate them to determine the extent of risk involved. If the risk is great, appropriate preventive measures are adopted to ensure future safety of the disabled employees. Workers and employers alike must work together to improve the condition of a workplace, ensuring that it promotes equal opportunities and reasonable accommodation for all disabled individuals, whether employees or visitors. Needs of disabled people must be considered at the design and construction stage itself, rather than waiting for a disabled person to be employed and then making necessary adjustments. This entry was posted in OSHA and Other Safety Training on June 12, 2016 by American CPR Training Team. 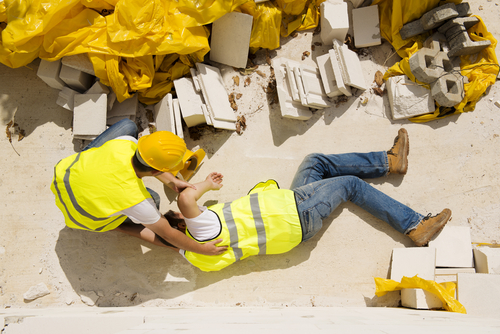 Every year, thousands of workers are killed or injured in workplace accidents. In 2012, about 3.8 million workers had a nonfatal workplace injury or illness, according to The National Institute for Occupation Safety and Health (NIOSH). According to the U.S. Department of Labor, almost 4,700 workers were killed on the job in 2014. NIOSH estimates that lost wages, workman’s comp, insurance and medical expenses add up to $192 billion, annually. According to the U.S. Bureau of Labor Statistics, the median number of days away from work to recuperate from workplace injury was eight days in 2013, and there were 109 incidents that required time away from work for every 10,000 workers. Clearly, the workplace can be dangerous — and costly. OSHA regulations include specific requirements for safety in every industry or type of workplace. One area of particular interest: musculoskeletal disorders, can be caused by repetitive motions, improper lifting, or poorly designed tools and workplaces. Musculoskeletal disorders (MSD) include carpal tunnel syndrome, tendinitis, rotator cuff (shoulder) injuries, epicondylitis (elbow), trigger finger and muscle strains or low back injuries. OSHA cites numerous independent studies that evaluated the effect of workplace wellness initiatives on the rate of injuries. 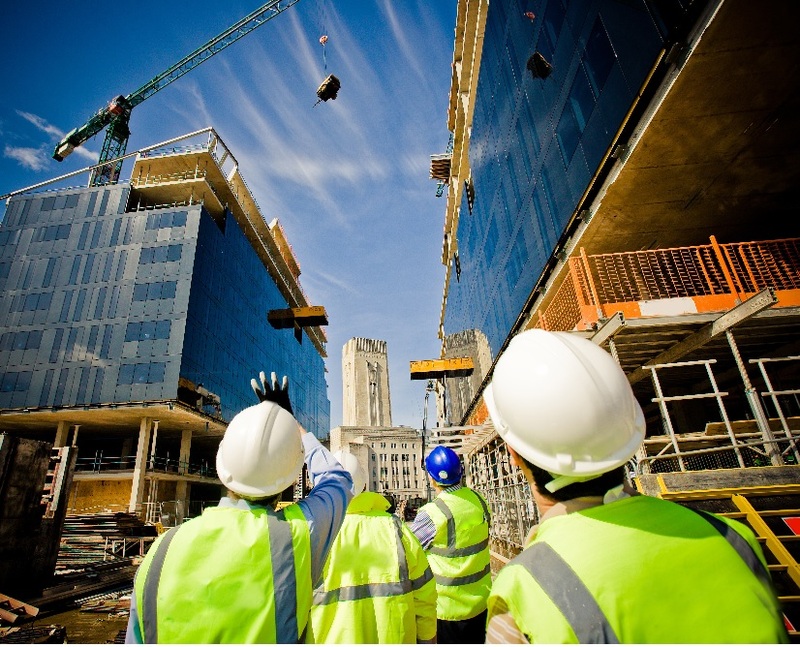 One such study showed that effective workplace safety programs increased productivity by 43 percent and reduced costs by 28 percent. There were additional favorable outcomes affecting employee morale and retention. Additional research shows that state-mandated programs have highly positive effects. For example, Alaska mandated safety and wellness programs in 1973, and workplace injuries and illnesses decreased more than 17 percent. Hawaii showed a reduction of 20.7 percent. In addition, Massachusetts companies enjoyed a 20.8 percent improvement in loss ratios due to injury and illness. 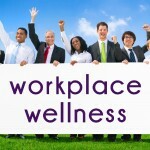 The evidence is staggering — workplace wellness initiatives work. Engineering controls include making physical changes to the workplace that can reduce or eliminate hazards. This might include redesigning tools to enable neutral postures, repositioning a worktable to eliminate excessive reach, or offering easily adjustable ergonomic chairs or stools — so employees can work comfortably without strain. By establishing efficient processes and procedures, the company eliminates excess or repetitive motions that can cause injury. Examples of these controls might include rotating employees to different tasks at regular intervals, or implementing a preventive maintenance program to ensure that tools work easily and are in good repair. Educating employees on how to protect themselves with proper position for the task at hand can also be effective. Employers have an obligation to provide personal protective equipment that reduces the risk of MSDs. This might include gloves, wrist braces or padding. It could also encompass ensuring that the employee has control over the arrangement of items on the work surface, the height of the desk or workstation, and appropriate adjustable seating. 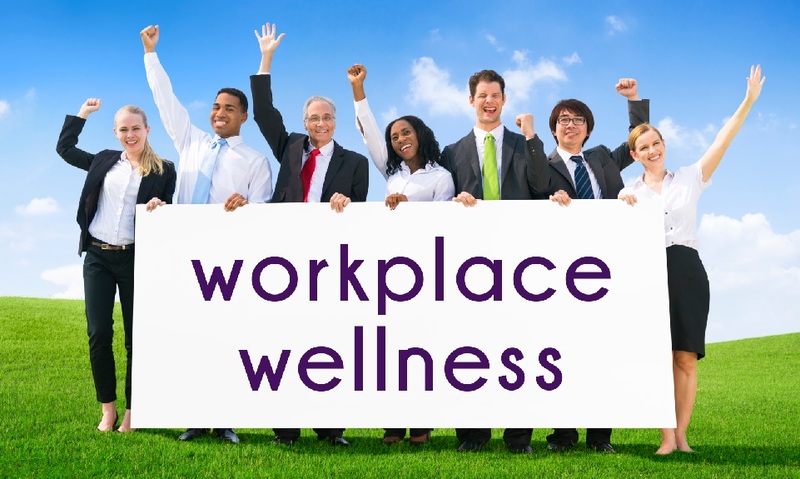 Not only does a workplace wellness initiative make sense from a business perspective, having an effective program in place is mandatory in most states for a wide range of industries. Most European countries have similar mandates, as do many countries in Asia Pacific and South America. If you’re interested in starting a workplace wellness program for your business, there are numerous sources for information and advice available from government, private and institutional sources. The U.S. government agencies involved in monitoring workplace safety work closely with the American National Standards Institute and the American Industrial Hygiene Association. Your company insurance provider may also have excellent insight into the best solutions to adopt in your industry or environment. Joel Vento is the head of marketing and sales at Concept Seating, manufacturer of ergonomic seating. Joel has over 20 years of experience in the seating industry. Mr. Vento headed the design team that designed the 3150 chair. Joel has a BS in Journalism from the University of Wisconsin Madison. Concept Seating produces a variety products like office task chairs and 24-hour dispatch chairs. This entry was posted in OSHA and Other Safety Training and tagged wellness, ergonomics, work safety on June 9, 2016 by American CPR Training Team. The following list of Building Science publications is organized by FEMA publication number. You can find additional publications on the FEMA Resource and Document Library searching by hazard type. This entry was posted in OSHA and Other Safety Training and tagged safety, construction safety, contractors first aid, contractors first aid kits, building on May 12, 2016 by American CPR Training Team. We recently talked about Fall Protection in Construction - which often relates to Commercial Buildings... did you know that May is National Building Safety Month? Yes - by Presidential Proclamation this is the 6th National Building Safety Month (BSM). The 2016 theme is "Building Codes: Driving Growth through Innovation, Resilience and Safety." Each week of BSM spotlights a specific area of building safety. This week, “The Science Behind the Codes” takes a look at the work FEMA does with the Mitigation Assessment Teams turning research into practice. One way this is accomplished is through the publication of research and technical manuals that help shape future building codes to optimize safe and secure structures. FEMA's Building Science Branch publications are available by hazard type. Buildings across our country provide safety and shelter to our people. From high-rises that form our cities' skylines to ranch homes that blanket the countryside, our buildings offer places to gather and perform daily activities, and they must have sound, secure, and resilient structures. 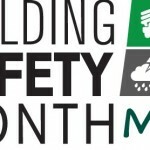 During National Building Safety Month, we recognize and pay tribute to those who ensure the safety and resilience of our Nation's buildings, and we reaffirm our commitment to upholding and abiding by strong and effective building safety standards. Maintaining the safety and resilience of our homes and buildings is imperative. By using disaster-resistant building codes and standards, resilient construction materials, and safe and performance-based design methods, we can safeguard the workplaces, houses, schools, and other facilities that provide us with space to grow, live, and learn. Americans can also take steps to secure buildings before natural disasters strike by elevating properties where necessary, anchoring furniture and other materials, reinforcing doors, and covering windows. I encourage everyone to visit www.Ready.gov to learn about more ways to keep yourself and those around you safe in your homes and businesses. The Federal Government is leading by example. To prepare for natural disasters, I have signed Executive Orders that strengthen the security of Federal buildings and assets and improve their resilience to floods and earthquakes, reduce the risks of harm to people, lower recovery costs, and make it easier for communities to recover faster and emerge stronger. Later this month, the White House will bring together collaborators from the public and private sectors at a Conference on Resilient Building Codes. This event will underscore the critical role building codes play in ensuring community resilience, and it will strengthen our national commitment to advancing resilience in the built environment, from codes and standards to building design and construction. The consequences of natural disasters can be exacerbated by the effects of a changing climate -- including through stronger storms and longer wildfire seasons -- so it is crucial that we ensure our buildings are resilient to the impacts of climate change. My Administration has worked with communities to build climate-resilient infrastructure to prepare for the impacts of climate change that we can no longer prevent, and we are continuing to invest in energy efficiency in our buildings. All people deserve to feel safe in the buildings we inhabit day in and day out. With care and attention, we can secure and protect the places we spend time in. This month, let us take action to safeguard America's homes, schools, and other buildings, and let us ensure those responsible for this important work have the tools and resources they need. 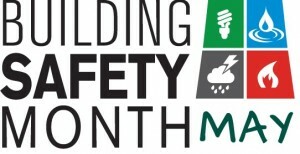 NOW, THEREFORE, I, BARACK OBAMA, President of the United States of America, by virtue of the authority vested in me by the Constitution and the laws of the United States, do hereby proclaim May 2016 as National Building Safety Month. I encourage citizens, government agencies, businesses, nonprofits, and other interested groups to join in activities that raise awareness about building safety. I also call on all Americans to learn more about how they can contribute to building safety at home and in their communities. IN WITNESS WHEREOF, I have hereunto set my hand this twenty-ninth day of April, in the year of our Lord two thousand sixteen, and of the Independence of the United States of America the two hundred and fortieth. This entry was posted in OSHA and Other Safety Training and tagged safety, building, construction on May 11, 2016 by American CPR Training Team. He's not the man I married - could it be Lead? We've been around a long time. Back in the 90's, we used a video put out by Cal/OSHA in our Lead Safety Training... it was called " He's not the man I married - could it be Lead? " A funny title for a serious mater. 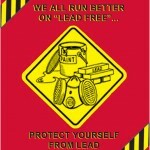 Lead based products are the "gift" that keeps on giving and though we have known for a while that long term exposure to lead based products were a health hazard, there are still many instances when employees are exposed to lead-based items. These training products were created specifically for OSHA's Lead Standards for general industry and construction environments. The products are designed for employees where lead and lead-based materials are found. Our training products on the Working with Lead Exposure address the major areas of employee training required by the regulations. Because of the widespread historical use of lead-based paints, as well as other materials containing lead, these products are useful to a number of different groups including manufacturers, recyclers and many others. DID YOU KNOW: At one time baby cribs were painted with lead-based paint, which resulted in infant illness and death. In 1922, the League of Nations banned lead-based paint but the United States declined to adopt this rule. In 1943, a report concluded that children eating lead paint chips could suffer from neurological disorders including behavior, learning, and intelligence problems. 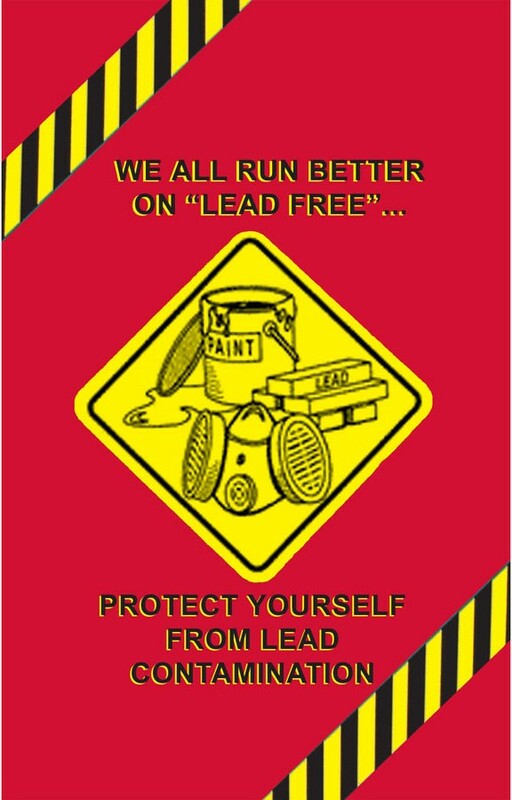 Finally, in 1971, lead-based house paint was phased out in the United States with the passage of the Lead-Based Paint Poisoning Prevention Act. Lead Exposure in General Industry - OSHA Safety Training: Created specifically for OSHA's Lead Standards for general industry environments, these products are designed for employees where lead and lead-based materials are found. Our training products on the "Working with Lead Exposure in General Industry" address the major areas of employee training required by the regulations. Because of the widespread historical use of lead-based paints, as well as other materials containing lead, these products are useful to a number of different groups including manufacturers, recyclers and many others. This entry was posted in OSHA and Other Safety Training and tagged construction safety, Construction Safety Orders, contractors first aid, contractors first aid kits, lead e, posure, lead, lead safety on May 6, 2016 by American CPR Training Team.